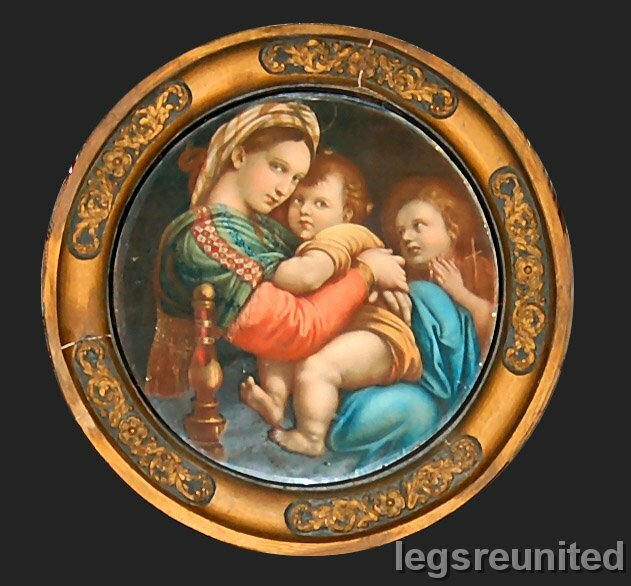 This plate depicts Madonna and Child by Raphael. The 1961 Jubilee Book says: 'In accordance with Mr. Clegg's views art was not confined to the Art Room. He was an admirer of Italian and Flemish painting and some of the reproductions which he hung on the walls of class rooms and corridors are still about the school : the Raphael Madonna in the Art Room is one.' The plate was exhibited in the old Hall at the Last Detention School Dinner on the 4 December 2005. Unknown photographer.